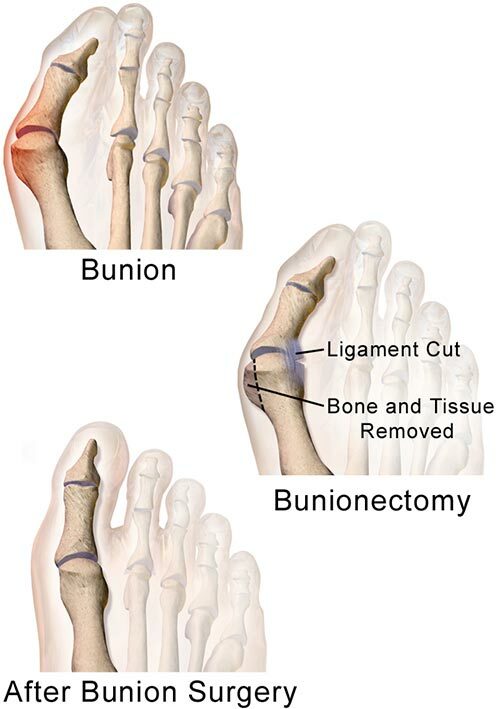 Bunions are bumps on your big toe joints that have become inflamed and enlarged. This deformity can become so severe that the base of your big toe joint juts toward the outside of your foot. Bilateral bunionectomy refers to the process a podiatrist performs to correct this condition on both of your feet at the same time. All symptoms, potential procedural/surgical options should always be discussed with your podiatrist after a thorough consultation and examination for an accurate diagnosis and treatment plan. Distal osteotomy: A pediatric doctor takes a small piece of bone from the end that sticks out and moves it so the bone isn’t so deviated. This procedure involves a few pins to hold everything in place. The pins are removed later. This procedure is for mild to moderate bunion issues. Proximal osteotomy: This procedure is used for more severe bunions. The surgery involves cutting the bone in the middle or near the end, realigning it, and holding it in place with either pins or screws, to be removed later. It’s not unusual for a foot doctor in NYC to complete a soft tissue release (described below) at the same time as this surgery. The lapidus procedure fuses the first joint, straightens out your toe and limits movement. This procedure is currently a popular procedure among foot doctors in New York. Exostectomy is a procedure where the part of the foot that is bulging out is actually removed. Soft tissue release does not involve the bone, but instead re-aligns the big toe ligaments. In a metatarsal osteotomy, a small piece of bone from your foot, rather than your big toe, is removed. Phalangeal osteotomy means that a piece of your toe bone is removed. Resection arthroplasty is the reshaping of your big toe and metatarsal bones. Arthrodesis involves fusing the bones of your big toe joint. A podiatrist has bandaged your feet. You may or may not be allowed to put weight on your feet, depending on a number of factors your foot doctor should discuss with you. You may have post-operative shoes, casts or splints. Additionally, especially since you’ve had both feet operated on at once, you may need crutches or even a walker for a period of time to keep your full weight off the surgical sites. Swelling is a concern. Your foot specialist should tell you to ice your feet and keep them elevated. Never put ice directly on your skin; instead, put ice in a sealable bag and wrap it in a towel before applying to your feet. A podiatrist may ask you to keep your feet dry and away from water for a certain period of time. This means wrapping your feet in plastic and keeping them out of the bath. Follow your foot doctor’s instructions to the letter to ensure proper healing and to avoid infections. After surgery, your foot doctor in New York may have specific recommendations for footwear to try to keep the bunions from recurring. A podiatrist recommends where to you can buy the best shoes or what specific brands you should try. Physical therapy may be necessary, especially when both feet have been operated on. When your ability to walk was impacted by the bunions, you may have developed an uneven or awkward gait. To make sure you’re walking and balancing properly, as well as to regain foot flexibility, physical therapy helps you the most. Follow the therapist’s instructions for at-home exercises to get back to normal as quickly as possible. In the weeks following your procedure, a good podiatrist in NYC makes sure that your toe is not misaligned or too short, that healing isn’t progressing more slowly than expected and that your bunion hasn’t come back. As long as you go to physical therapy and follow the post-op instructions, you should be feeling better in six to eight weeks, although a full recovery can take up to six months. Important Reminder: This information is only intended to provide guidance, not a definitive medical advice. Please consult foot doctor about your specific condition. Only a trained, experienced board certified podiatrist or foot specialist can determine an accurate diagnosis and proper treatment. Do you have any questions about Bilateral Bunionectomy procedure in NYC? Would like to schedule an appointment with an internationally recognized, top NYC Podiatrist and foot doctor, Dr. Sophia Solomon of Manhattan Foot Specialists, please contact our office for consultation. The information on this website is to provide general guidance. 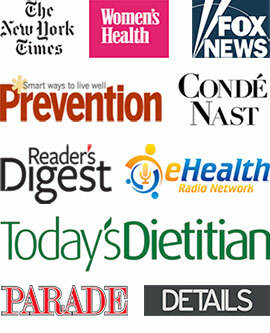 In no way does any of the information provided reflect definitive medical advice and self diagnoses should not be made based on information obtained online. It is important to consult a best in class NYC podiatrist regarding ANY and ALL symptoms or signs as it may a sign of a serious illness or condition. A thorough consultation and examination should ALWAYS be performed for an accurate diagnosis and treatment plan. Be sure to call a foot doctor or call our office today and schedule a consultation with the leading NYC foot surgeon Dr. Sophia Solomon. Best rated NYC Podiatrist and a foot surgeon, Dr. Solomon is a board certified, American Board of Podiatric Medicine. Clinical instructor at Wyckoff Heights Medical Center, NYC Internationally recognized as America’s Top Podiatrist and among the top foot doctors in the country, contributor to a multiple industry top Podiatry citations. Our site is the source of information about the podiatry related conditions and NYC foot surgery procedures. This information is intended for patients looking to learn about our podiatry practice in NYC and make an appointment to see one of our podiatrists and foot surgeons in New York. This information is only intended to provide guidance, not definitive medical advice. Please consult a podiatrist about your specific condition. Only a trained physician can determine an accurate diagnosis and proper treatment. Terms and conditions are subject to change.